The Nominations Committee of the Alumni Council has selected the following slate of alumni for election at Reunion 2016. The candidates, chosen from approx-imately 300 nominees, have strong records of varied Colgate volunteer service, a consistent history of giving financial support to Colgate, and meaningful personal or professional accomplishments or contributions to the greater community. Complete information about the election and challenge petition process, as well as full biographies of the nominees, are posted at colgate.edu/2016candidates. Paper copies are available by calling 315-228-7433, or by sending an e-mail to alumni@colgate.edu. 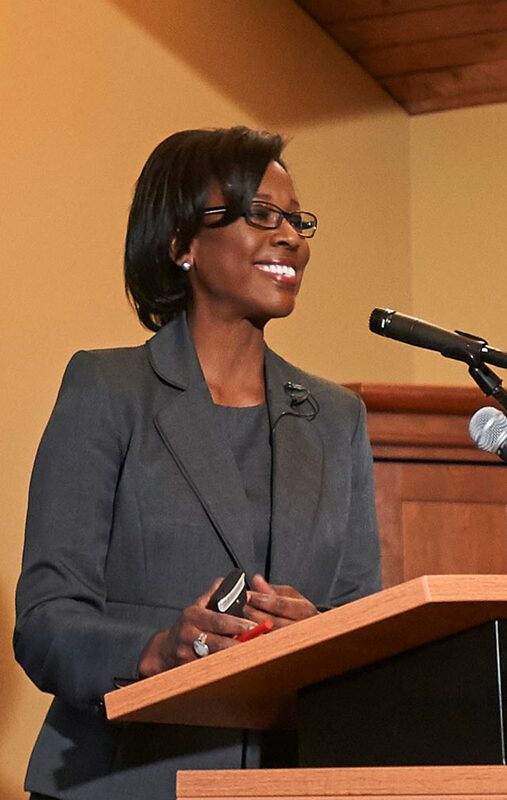 David McCabe (philosophy) and Nina Moore (political science) spoke at alumni events during the fall semester. McCabe traveled to Los Angeles to discuss just war theory, and Moore sat down with community members outside of Chicago to explore America’s immigration debate. Upon their return, they shared with the Scene what they discussed. We’re often told that war is hell, but that’s not exactly so. No matter the mayhem and destruction that war entails, it remains subject to moral norms whose force all of us recognize: it is wrong, for example, for a country to go to war against another to convert its citizens to “the one true faith,” or to target the civilians of another in hopes of coercing surrender, or to use nerve gas as a means of subduing enemy soldiers. These and other moral norms are contained in the long-standing tradition of thought known as Just War Theory. But contemporary conflicts, fought less and less between comparable states, and involving more and more stateless entities whose actions directly violate those norms of war, raise new and challenging issues. Figuring out how to respond to these new conflicts is an urgent challenge. Those who turn to terrorism are quick to point out that traditional wars kill huge numbers of civilians, and such terrorists often claim to act in the name of those victims and against outside aggression. For their part, government officials seek greater leeway to engage in such acts as assassination and preventive war, citing the potentially enormous stakes created by increasingly dangerous weapons. These and other challenges ensure, sadly, that our need to get clear on the morality of war is not likely to disappear anytime soon. These are just a few of the points we covered in Los Angeles at the home of Ray ’70 and Helen Hartung. The people who attended were, as I expected, extremely sharp, very passionate, and deeply thoughtful. I’d have been happy to keep on talking with them for hours, and I hope I get a chance to continue the general conversation with them again, before too long. It was clear to me as well how seriously engaged they were, as thinkers and responsible citizens, with the issues we were discussing. As expected, there was incredible energy and an impressive amount of brainpower in the room at the Indian Hill Golf Club (Winnetka, Ill.) on October 16. The questions began before my presentation on the potentially transformative impact of modern immigration was fully delivered. And they ran the gamut. What is the relationship between public opinion on immigration and economic cycles? Isn’t the failure to abide by immigration laws the real issue, moreso than who is arriving? Why is it necessary for such a rich country to have a border at all? 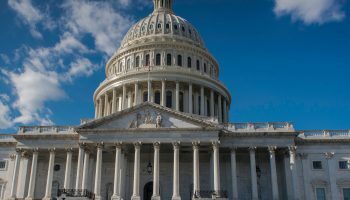 What is the likelihood that the Republican-controlled Congress will enact immigration reform? How does America’s response to immigration pressures stack up against that of other countries? And a question that drew applause came from a young alumnus seeking U.S. citizenship: What about those of us who finished college, have important skills to offer, followed all of the rules and regulations, and yet are seemingly overlooked in the current public debate about unauthorized immigrants? The gracious hosts for the event, Chris ’81 and Becky Bair ’81 Hurley, could not have organized a more lively and thoughtful conversation about a topic that the public has identified as among the most important issues facing the country for more than a decade. The class years represented at the event (1958 through 2012) were just as wide ranging as the perspectives shared. It was especially rewarding to know that the evening not only provided an excellent forum for serious intellectual engagement and serious mingling, but also a chance for the 62 attendees to make a matched donation to financial aid at the university. The gathering captured the essence of the Colgate spirit, and the premium that the university places on lifelong learning. It ended with a call from one audience member to rally behind the young alumnus who was eager to become a U.S. citizen and put his Colgate degree to work! On December 12, Colgate football advanced to the second round of the NCAA playoffs for only the second time in program history, taking on Sam Houston State in Austin, Texas. Former alumni council member Devon Skerritt ’00 and his 5-year-old son, Cullen, were in the stands. Acting as a Scene correspondent, Skerritt sent this report. 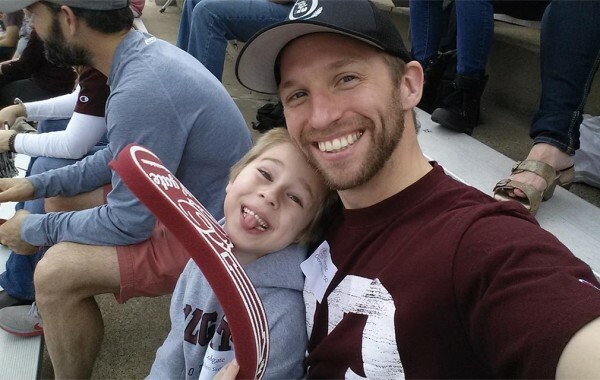 When the stars aligned, there was no way that my son and I were going to miss a three-hour road trip together to see Colgate play an NCAA quarterfinal football game deep in the heart of Texas. Pulling into the tailgate area gave my heart a slightly warm flutter — like it was anticipating coming home after a long absence. We got our nametags and “Let’s Go Gate” signs from the friendly faces of Colgate alumni relations staffers Tim Mansfield and Kate Hollerbush ’09, and quickly found our dear Austin, Texas, friends Katie Tone Brock ’00 and her husband, Doug. We saw other friends from the Dallas area and caught up with VP and athletics director Vicky Chun ’91, MA’94. The easy conversation flowed, making me wish we had more time to play and talk before our tailgate wrapped up. This was an occasion for reliving memories and making new ones. The atmosphere — before, during, and after the game — was quintessentially Colgate, with a celebratory tone and close-knit comfort. The unanticipated opportunity to congregate with our extended family gave us just cause to feel the range of emotions that sports engender: anticipation, surprise, revelry, excitement, disappointment, joy, and love for alma mater. Sharing this Colgate experience with my son gave me a profound sense of pride in being a part of something bigger than myself. Introducing Cullen to friends both old and new made me appreciate how our community is united by a special bond that spans across generations, time zones, and state lines. 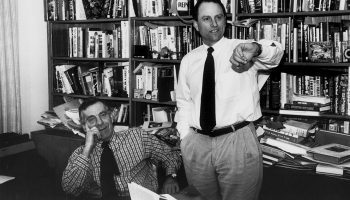 The relationship between a Colgate graduate and his school created an opportunity for a father and his son to share a moment in time that I will cherish for a lifetime. Alumni and student crews represented Colgate at the Head of the Charles Regatta in Boston, Oct. 17–18, 2015. 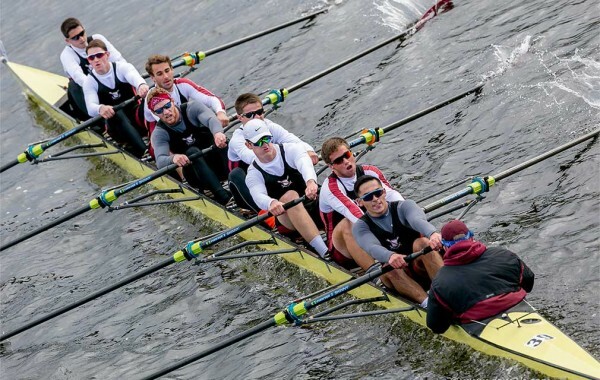 With members of the Boston alumni club cheering from the shoreline, the men’s alumni and collegiate eights showed contenders from dozens of universities that Raiders kill giants just as readily on water as they do on land. Colgate professional networks spark crucial relationships by introducing you to fellow Colgate community members working across your industry. They also allow alumni, parents, and students to inspire each other as they engage with the university. You can build your Colgate connections while supporting this vital initiative when you become a key professional networks volunteer. 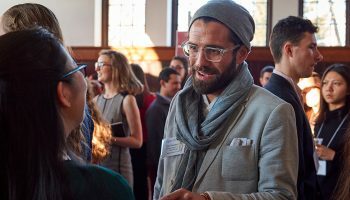 Make contacts, plan events, interact with enthusiastic undergraduates — whether you work at a nonprofit or a for-profit, whether you’re an entrepreneur, a financier, or a health care practitioner, there’s a role for you in a Colgate professional network. To find out more, contact Jillian Arnault ’10, assistant director of professional networks, at 315-228-6929 or jarnault@colgate.edu. It’s no blarney to say that Colgate made history — and experienced it — when the men’s hockey team traveled to Belfast for the Friendship Four tournament. The matches, or “fixtures,” as they call them on the Emerald Isle, were held during Thanksgiving weekend and marked the first time that a competitive NCAA tournament has taken place outside North America. 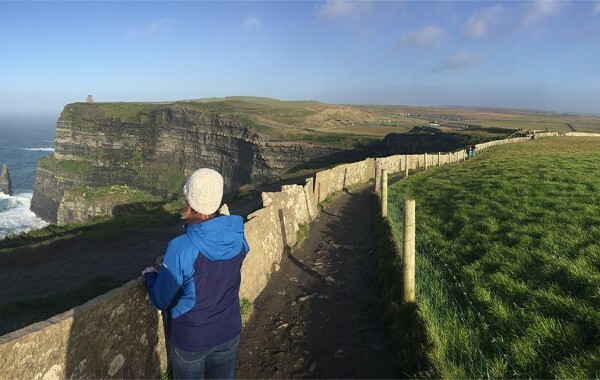 Seventeen members of the Colgate community traveled the country together before the start of the tournament, stopping off at iconic locations in Dublin, Galway, and Belfast. After enjoying the view from the Cliffs of Moher and the seventh floor of the Guinness Storehouse, they cheered the Raiders in games against Northeastern University, University of Massachusetts-Lowell, and Brown University. Reunion 2016 is just around the corner, and online registration is now open at colgate.edu/reunion for ’1s, ’6s, perennial attendees, families, and friends. This year, we’ll also celebrate Colgate’s military veterans, the 20th birthday of the Delta Delta Delta sorority, and the Alumni of Color organization’s 30th anniversary. Sign up for the package of your choice: Friday only, Saturday only, or a full weekend. Pre-register for Camp Raider childcare service (hourly fee required), or hire a local babysitter from a list maintained by the alumni office. All weekend long, children under 12 eat free, with the exception of the Saturday-night banquet, which is a ticketed, adults-only event. Explore the Mediterranean with Colgate alumni and parents on the Oceania Riviera, Oct. 8–16, 2016. 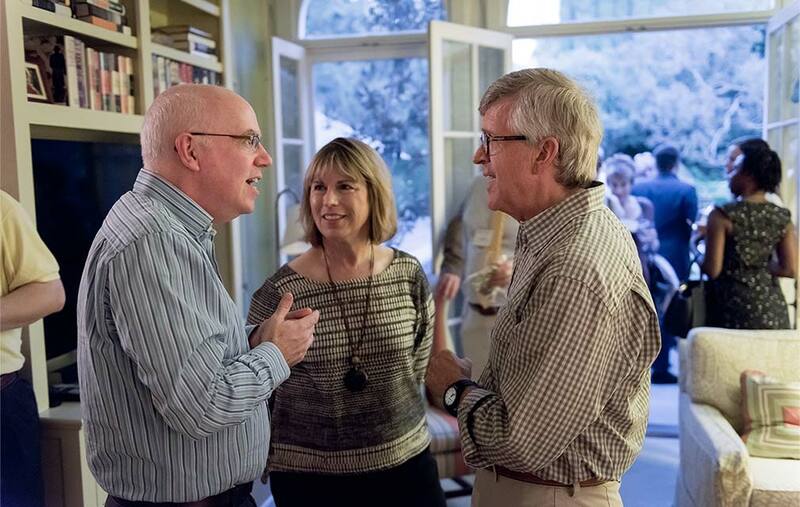 Robert Garland, Roy D. and Margaret B. Wooster Professor of the classics, will be your guide, offering lectures at several ports of call, which include Athens, Capri, Florence, Monte Carlo, Marseille, and Barcelona. 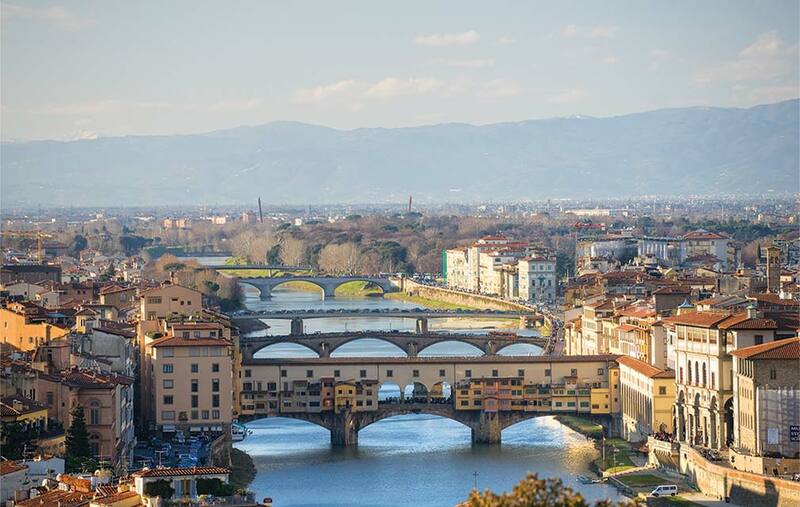 Board the deluxe Riviera and float your way to Italy’s legendary ruins of Pompeii, Malta’s beautiful St. John’s Co-Cathedral, and Greece’s Bronze Age Palace of Knossos. It’s a liberal arts odyssey you won’t want to miss. Space is limited, so sign up now for the best choice of stateroom or suite. Visit colgate.edu/alumni for details.